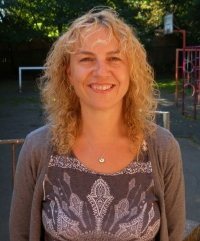 We are a leading independent special school with a fully integrated specialist clinical team located in a large Victorian house in Hampstead. Although we are in a separate building, we are part of the Child and Adolescent Mental Health Service of the Tavistock and Portman NHS Foundation Trust. For over 40 years Gloucester House has pioneered therapeutic educational work with children. We are a very small school working with up to 21 children aged between 5-14 (Ks 1,2 & 3). Gloucester House provides a model of good practice that fits the new Education, Health and Care Plans. Therapists, specialist nurses and education staff work closely together to support the learning and development of children with social, emotional and mental health difficulties, their families/carers and the professional network around them. Gloucester House is warm and welcoming, friendly and purposeful. We believe that all children can progress and achieve. We take great pride in our outcomes for children and families. Developing children’s independence, resilience, progress in learning and understanding of themselves is at the core of our vision. We believe that the children and families we work with benefit from therapeutic education provided by clinicians and education staff working closely. We work with the children in a variety of ways, including individual work and group work. At all times we try to understand and learn from children and their families. We provide opportunities for self-reflection as well as nurturing children’s self-esteem and positive social relationships. Enjoyment, excellence and achievement are at the heart of our curriculum through which we aim to develop a love of learning alongside core competencies in basic skills. We provide a curriculum through which children of all abilities can learn through a rich variety of experiences. We aim to provide outstanding education and care that will prepare them for the next steps in their future. We also hope that children and families who come here will enjoy their time as well as learn from it and leave us with positive memories. 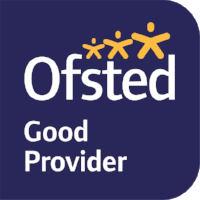 Click here to read or download our latest Ofsted report and parent letter.